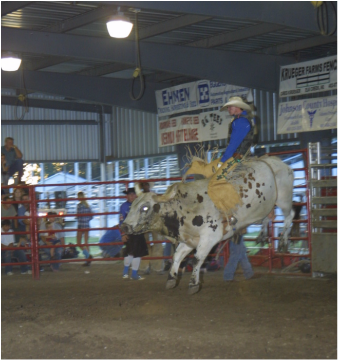 The Extreme Bull Riding Tour, presented by White Buffalo Productions, will be held on August 11, 2018 at 7 p.m. at the Johnson County Fairgrounds, West Highway 136 in Tecumseh, NE. A dance will be held following the event with the Jason Earl Band. The event is sponsored by the Johnson County Mechanical and Agricultural Society, Pioneer Seed local dealers, Tecumseh Economic Development, M&M Supply, Tecumseh Federal Bank & Tecumseh Insurance Center. For more Extreme Bull Riding events click here for their 2018 Schedule.